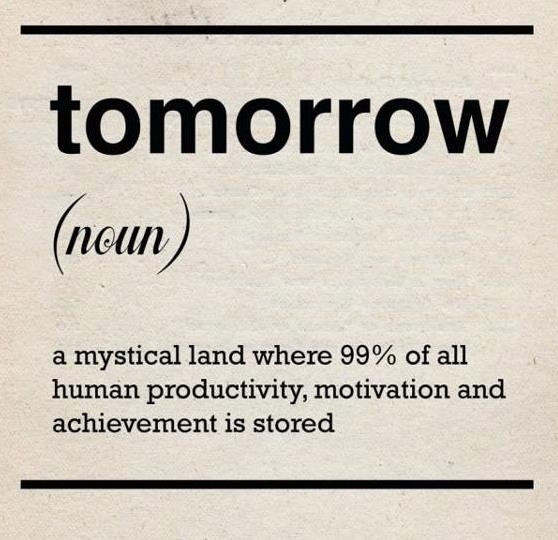 Tomorrow came. Tomorrow became yesterday and then, Tomorrow became last week. I know that I have been remiss. I know that I did not update daily or even weekly. Tomorrow I will do better–that’s what I kept telling myself. Well, here we are, just 7 days from the start of NaNoWriMo, and I have yet to do much in the way of working on my outline, my characters, or even blog about my writing process. What I have discovered is that I am a classic Pantster. What’s a Pantster? Apparently there are two types of writers– Plotters and Pantsters . Plotters write outlines, develop characters, and have a clear idea and direction for their novels. Pantsters on the other hand, basically write by the seat of their pants. We are the ones who wrote our college essays the night (or just hours) before it was due. We crammed the night before exams because we pushed studying off in favor of anything besides studying. We were not necessarily bad students. Some of us got A’s and B’s, while others may have failed miserably. But, we were pretty good at writing those unexpected essay quizzes and exams. Being a pantster is not necessarily a bad thing, and it is a myth that they cannot be successful writers. Kami Garcia, author of Beautiful Creatures admits to being primarily a pantster who struggles with the beginning of her novels. I am the type of writer who needs to feel the words formed. I must start every story with pen and paper. A blank Word document is intimidating. The cursor blinks as if it is laughing at me. Ha Ha Ha Ha…. However, a blank page begs to be filled. The pen feels familiar, comfortable. As it swoops across the page it mimics the sound of waves on a shoreline. Sometimes, rough and loud. Other times, soft and slow. I feel the pressure of my grip on the pen and the cool smoothness of the page caress the side of my hand. It feels like creating art. It feels like the sentences are created through me rather than by me. So where am I on the novel? Remember that outline I had mentioned before? The one I spent months working on for NaNoWriMo? I killed it. I set it aside. It was so detailed, that I just can’t use it. I don’t feel anything when I look at it. I can’t seem to flesh out the story from the details. I was worried that I may never write this novel. I’ve told everyone that I know–including the world via this blog–that I am writing a novel. I MUST follow through this time. So what did I do? I read short stories, poems, watched a ton of indie films, and listened to music and the conversations of people in public places. I’m not sure if it helped, or hindered. But I did finally come up with a story. The novel hit me last night while I was trying to fall asleep. For three hours a troubled girl with large, brown eyes and wavy auburn hair tortured me. She wrote letters to family and friends. I didn’t know who she was or why was writing her letters. I could see her clearly. I could hear her thoughts as she wrote the letters. Her name is Lucy. She has something to tell us. Something important. Something dark. Something profound. I got out of bed and just started writing. I wrote the first paragraph of her story and then I realized who she is, why she is writing the letters, and what she wants the world to know. I gave her story six short plot points in bullet format. Each bullet has two to three sentences. The working title is Sincerely Yours, Lucy. The novel is nearing Dawn. Next > Day Five of NaNoWriMo and I’m STUCK! Isn’t it interesting that our experiences can be as varied as our creative processes? I’m a planner, not among the more extreme, but I like to have a decent amount planned before I start writing. Lately, I’ve been coming across several people who claim that pantsing is the more “creative” way to write, and that writing from an outline destroys inspiration and breeds writer’s block. There are plenty of successful writers who don’t plan their stories in advance. Whoever is saying that pantsing is bad, ignore them! Just like I try to ignore people who claim that I can’t be creative with an outline. I know how I work, and if I try to go into November without some planning done, I’ll fall further than flat. Good luck on your first NaNo!